Team building is a process of transforming a group of people into a cohesive team, whereby they can practice and enjoy healthy interpersonal relationship. Effective teams work together through effective and efficient collaboration, cooperation and interdependently meet organizational goals and objectives. ​The most important element of team members is not only accomplishing group tasks, but trust and support one another while respecting individual differences. Productivity is enhanced by identifying and removing obstructions and improving existing ways of working. Employees use creativity and lateral thinking by moving employees away from traditional method of job setting which refresh and recharge them. Methodology: Split everyone off into groups of five to eight people and give each group an uncooked egg. Put all the office supplies in a pile. They have 15 to 30 minutes to use the supplies to build a contraption around the egg that will keep the egg from breaking when dropped. ​Some suggestions for supplies are: tape, pencils, straws, plastic utensils, packing material, newspapers, and rubber bands. Once time is up, drop each egg contraption from 3 meters hoping that it will prevent the egg from breaking upon impact. Learning Objectives/ Outcomes: Inspires creativity, Fosters teamwork, Zany task, Thrilling climax. Methodology:Groups will have to form a human chain as long as they can hold just the hands. Later they are encouraged to think on how they can use other resources to form the longest line and create the longest string. Methodology: A 8-10 feet rope is used to create a toxic waste radiation zone on the ground. The challenge increases with the size of the zone. A platform is placed (might be a tool) at the middle of the circle. A bucket is filled with water and placed at the centre of the radiation zone. 2 ropes are kept ready for use outside the radiation zone. The challenge is how to transport the toxic waste bucket from the radiation zone to the safe zone so as to avoid the blast which could destroy the world. The participants have to do this activity with the equipment provided. Any participants entering into the radiation zone will have fatal injury. So it is important that the participants will not enter the radiation zone and keep themselves safe. During the game no one is allowed to retrieve the toxic waste. Methodology:One inflated balloon per participant and a mask should be kept ready at hand. Twogroups are made each with 5 to 7 people. An inflated balloon is kept between two participants, except the first and the last pair. They should not touch the balloon with their hands. They need to walk towards the finishing line as a group. If any balloon touched the ground, the employee will have to restart the process. The group which reaches first wins the game. Methodology: At first,the participants are blindfolded except the leader, who gives instructions to them. The blindfold participants touch the shoulders of the participants in front of them while they stand in a straight line. Various obstacles are kept for the participants to overcome as they move forward. The leaders give the instructions to move and the participants move together. The participants move through the obstacles and the leader is not allowed to touch the participants. The round gets complete when the last participant crosses the finishing line. Methodology:A pile of newspapers are collected and given to each team. The teams have to make tallest tower within a stipulated time without using stables, cello tape, glue etc. The team which creates the highest tower win the activity. Learning Objectives/ Outcomes: Motivation, understanding the strengths of co workers, leadership, strategy and communication. 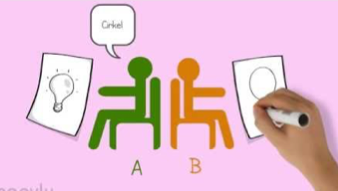 Methodology: The participants are divided into groups of two people. Both the participants sit back to back. One participant is given a picture and the other a pen and paper. The person holding the picture describes the picture without telling naming/telling it. The other person draws it. In the next round role gets reverse. The team which would be closer to the correct drawing wins. Methodology: The group forms a circle holding hands. The task of the team is to pass the hula hoop around the circle in a specific direction, so that it returns to the starting point. A variation of this activity can be done by using two hoops (a rope equivalent in size of the hula and a hula ) moved towards the opposite direction. 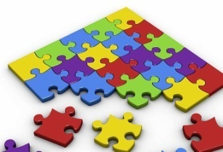 Methodology: Each group is given different jigsaw puzzles with the same difficulty level. The goal is to find which group completes the puzzle first. Some jigsaw puzzle pieces will be mixed around with the other group’s puzzle. It is upon the team to come up and collect their pieces from the other teams. ​These are some of the most engaging top ten corporate teambuilding activities which HR managers can incorporate in their employee engagement programs so as to bring about change in the organizational culture and processes for an effective and efficient outcome. Outlife has been a pioneer for innovation in the field of outbound and experiential education learning. 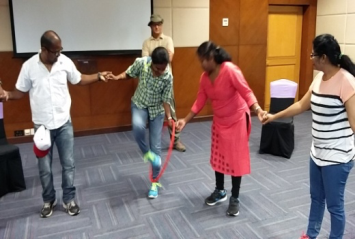 Some of the top team building games conducted by Outlife includes Human Knots, Spider Web, Paper Tower, Pictionary, Quick Draw, Survival Island, Moon Ball, Helium Stick, Balloon Race, Hula Hoop Circle, Hula Frenzy, Blindfold polygon, Change Wave, Balloon Keep up.